Join Team Lightning for a beginner-friendly Laurel-Snow Winter backpacking trip along the Cumberland Trail. Laurel-Snow is a 2,259-acre natural area. 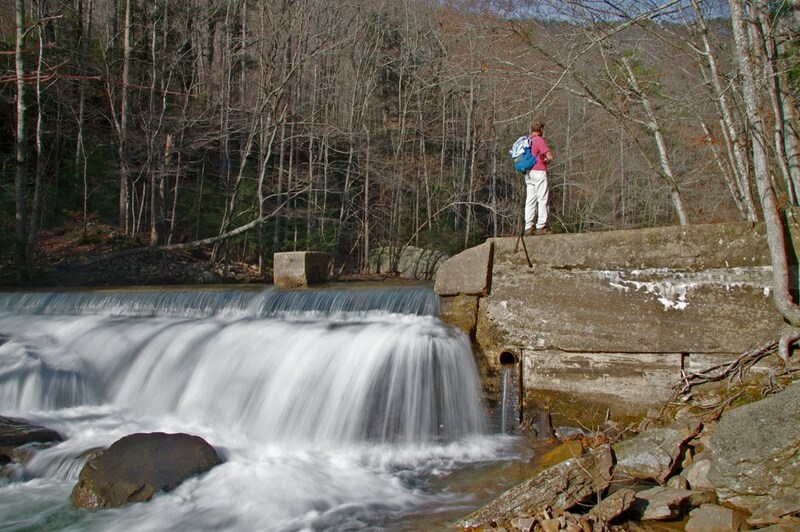 The site is named after two scenic waterfalls, Laurel Falls (80 feet) and Snow Falls (35 feet), and features two prominent overlooks, Buzzard Point and Bryan Overlook (also known as Raven Point). The natural area also has scenic creeks, steep gorges, geologic features, a small stand of virgin timber, and a wide variety of plants. This is a great backpacking trip for hikers who have completed a day hike of 8 or more miles on moderate terrain (Warner Parks or Cumberland Trail) and would like to add the challenge of carrying overnight gear on the trail with potentially freezing overnight temperatures. Price: Free! We just ask that you please pitch in for gas to help out the carpool drivers! Group Size: Limited to 10 backpackers plus trip leaders. Pets: Dog breeds that do well in cold weather are permitted but we ask you to use your best judgement. Weather: This trip is rain (or snow) or shine. In the event of severe inclement weather that jeapordizes the trail or our safety, your trip leader will reach out to you with information regarding a reschedule or cancellation.